Hello! We are Scott and Gennifer Johnson and we run Brookdale Road Farm in Woodstock, IL. 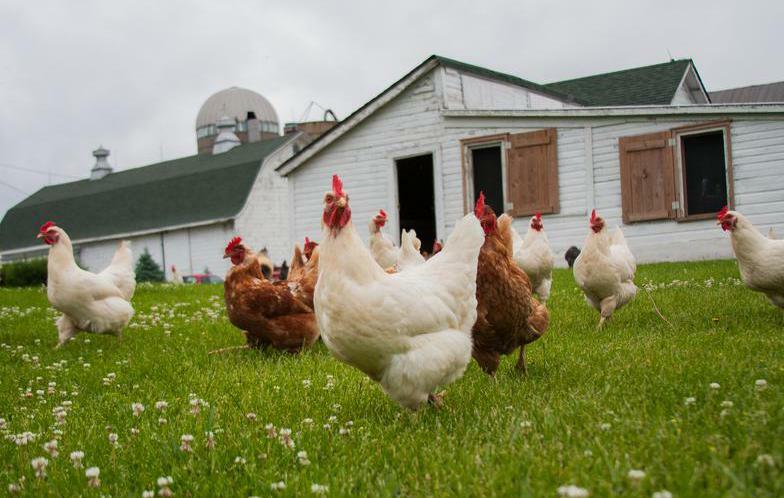 We currently sell grass-fed beef and free-range eggs​. Our cattle and chickens are both humanely raised and taken care for right here on our farm in Woodstock. We are a small, old-fashioned family farm (above picture) and we raise our beef without hormones or daily antibiotics. The steers are approximately 95% grass/hay fed with a very small amount of protein given daily. We do not corn finish and we raise our mainly Holstein breed of beef humanely and without hormones. We can supply references from our repeat customers if you ask and we would be happy to speak with you about any questions you have about our beef! Thank you for considering Brookdale Road Farm and we hope to hear from you soon!